An Iraqi parliamentarian says the fate of about 3,100 Yazidi women and girls abducted by the ISIS terrorist group in 2014 is still unknown. “We are still unaware of the fate of 3,100 Yazidi women and girls who were abducted by ISIS and we are searching to find them,” Vian Dakhil said. Dakhil, the only Yazidi in the Iraqi parliament, made the statement in a talk with Kurdish news agency Rudaw on Saturday, the Persian-language IRNA reported. More than 6,000 members of the religious minority were taken captive by ISIS when the Syria-based terror group captured large swathes of Iraq in a lightning offensive. The liberation of last urban strongholds of the group effectively marked an end to the self-proclaimed caliphate established in 2014. Currently the group has lost most of its holdings in Syria, controlling only small pockets near the Iraqi-Syrian border. 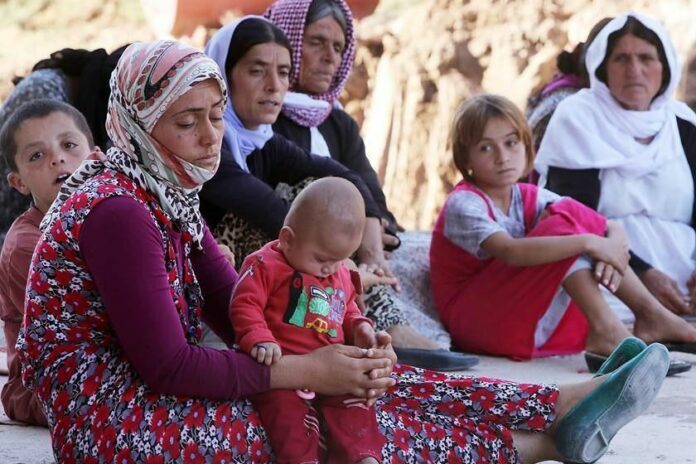 Dakhil said many of the Yezidis women have been transferred by ISIS fighters to cities in Syria, Turkey and Iraq. “ISIS is present inside Baghdad. Some of the abducted girls and women have been transferred to Baghdad and other Iraqi provinces,” she claimed. She claimed that Yazidis are still being bought and sold in Syria and Turkey. Dakhil said the Iraqi government has earmarked three billion Iraqi dinars ($2.5 million) to pay ransoms to secure release of Yazidi women and girls. The lawmaker also said over 500 Yezidi women and girls once held captive by ISIS will soon be sent to Germany to go through rehabilitation programs. Over 1,200 Yazidi women have so far been sent to Germany. After using rehabilitation services, the former captives are free to decide whether they would prefer to stay in Europe or return to Iraq.